(SPOT.ph) We’re sure we can all agree that pizza is one of mankind’s greatest gifts. In fact, we’d wager that a good many of us would list down pizza as the incomparable love of our lives. After all, it’s beautiful, comforting, non-judgmental, and so delicious — what’s not to love? 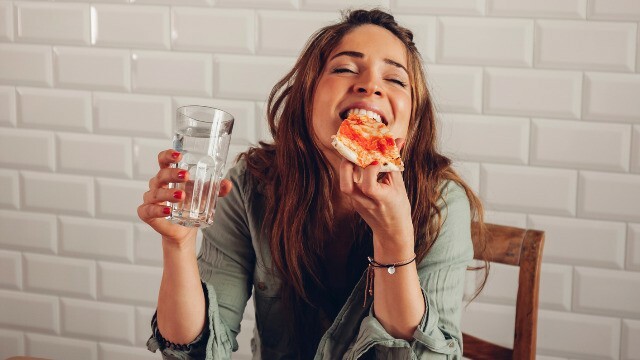 Needless to say, we’ve all formed an intense attachment to pizza, and it’s not shocking that we go through an emotional roller coaster whenever we find ourselves waiting for it to arrive. You suddenly feel that oh-so-familiar craving for pizza, so you pick up the phone and dial the delivery number you know by heart. j/k you actually just press speed dial 2 (pizza is life). 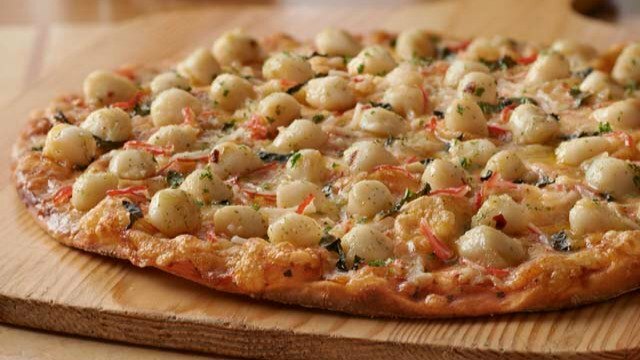 Just hearing about Shakey’s new Scallop Primo Pizza, a seafood pizza loaded with baby scallops, crab kani, cheddar cheese, basil strips, and parsley flakes, is making your mouth water. It sounds like the perfect summer treat! Now that you’ve ordered, you feel a blast of unbearable excitement. The pizza is coming! It’s going to be delicious and cheesy and all that is wonderful in the world! The anticipation mounts, and you begin daydreaming of your first bite into that hot, crispy, savory perfection. Your tastebuds are tingling already. You're very ready to get your fill of that scallops-and-crab goodness! The hunger is real. And so is the struggle of having to keep your excitement in check. Your eyes are glued to the door. Impatience starts to claw at you. The honeymoon period is over, and you can feel yourself becoming more and more hangry as the long wait for the pizza stretches out before you. It’s been 10 minutes. WHERE IS THE PIZZA?! Did you really order a pizza, or was that just an elaborate hallucination? Was that your neighbour’s doorbell, or yours? OMG, did the pizza guy arrive while you were in the bathroom, and now the pizza is gone forever?!?!? YAS! The pizza is heeeeeeeere. Now you're just moments away from tasting that scrumptious mix of seafood toppings on a perfectly baked, perfectly crispy thin crust. You go through the motions of paying the pizza delivery man in a daze, your mind already on the gastronomic heaven hiding inside the box. You open the pizza box and find yourself struck speechless by the breathtaking beauty inside. The delicious smell wafts up and in a half-blind craze, you pick up a slice and finally — finally! — sink your teeth into the pizza. SHEER BLISS. This is what it means to have all your dreams come true! You've been fantasizing about this brand new pizza flavor since you heard about it, and now you can't help but moan over the seafood flavours bursting in your mouth. You’ve never been so glad you took a chance and ordered something different because Scallop Primo Pizza is totally living up to your expectations. Once again, your love for pizza has not failed you! Order the Scallop Primo Pizza online at www.shakeyspizza.ph now. You can also order by calling 77-777. This article was created by Summit Storylabs in partnership with Shakey's.